A lot of thought and effort has gone in to the design of our women’s Repel Thermo Bib Tight with numerous incarnations and alterations to the design with various real-world testing taking place before finally being happy with the end result. It combines and easy open rear clip which works in a similar way to a bra strap enabling the bib section of the Tights to be opened quickly and easily without having to remove additional clothing layers. A women’s specific contour has also been incorporated into the bib straps to ensure the positioning increases comfort in all riding positions. 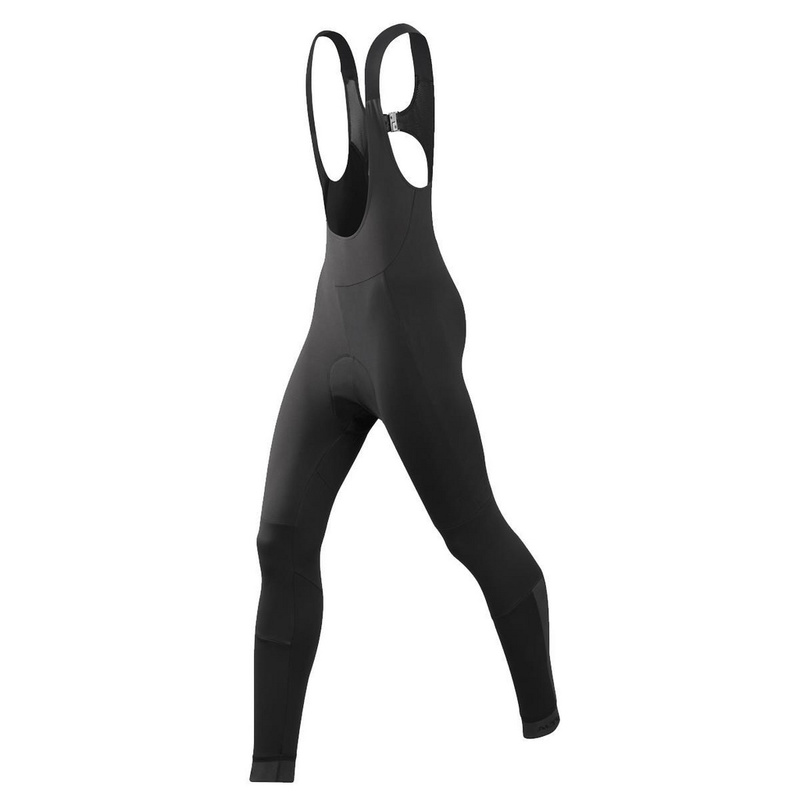 A higher front waist ensures a snug but comfortable fit reducing fabric bunching when cycling, the rear waist is also slightly higher again to help with a snug but comfortable fit. The Repel Thermo Bib Tight uses a brushed back fabric which is soft to the touch and helps retain body temperature without impacting on breathability. Our proven Progel chamois pad ensures a comfortable days cycling. A DWR (Durable water repellency) treatment has also been applied to the fabric to help water displacement again adding to our aim for the bib tight to be comfortable in most weather conditions.